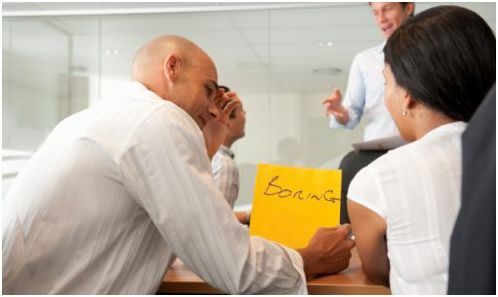 Why You Should Say “NO!” To Time Wasting Meetings Once For All. I was not allowing myself to think that I have an ability to ship any worthy creative ideas. Therefore, spending time on meetings was shortening my days and was helping me to get closer to the day of a paycheck. Gosh, what an exhausting dishonest survival it was! Can you “feel with me”? Have you ever felt like this before? Are you still a victim to those kind of situations? I create and ship totally new ideas, documents, blogs, videos – all out of scratch. I run events, which have not been organized before. I also fail and ” screw up” along the way, but the secret is to carry on delivering and the most important is to implement into your shipments lessons learned from failures. Work is much more fun, than filling in templates and reporting about things, which have been done before! Seriously guys, give an honest look at documents, which you produce at work. Are you not only describing past events? Are you not just copying documents, which have been done before by someone else? Are you not just changing font or adding your name or company logo to it? Are you not tired of presenting the same slide deck over and over again? I know snacks on those conferences are pretty tasty and your ego might be also pleased withe being on a “stage” with your 30th time “the same presentation” screening. Do you prefer to remain a “Scared Pretender”? Do you want to tap that amazing creative artist within you, which will transform you to a “Passionate Shipper”? It is like journey through a jungle without any map. It is hard work. It requires courage and your total dedication. It will force you to learn new stuff every single day. It will make you even dream about your shipments in your sleep. Shipping will change pace of time for you and you will be “pissed off” , when your clock will indicate that you should go to sleep. Gatherings next to water coolers, tabloids newspaper reading, long chit chats during smoking breaks and most importantly to the meetings without proper agenda and without “ready to ship” attendees in it. If YES, then you are ready to start to live honest and meaningful life. you too will be a part of making this world a better place. I totally believe in YOU and I see an amazing “passionate shipping” potential in YOU! World needs your art, right now! When you decide to undertake this journey, tell us about it! If you are already a “passionate shipper”, share your art and successes with us. P.S. from “P.S.” : If I can help you with your transformation, do let me know. If you think there are more people you know, who might find this post useful Tweet and Facebook it out;-) If we can inspire and awake more “passionate shippers” , the better world we will live in. We work in the personal development realm. Everyone can use it, but not everyone wants to explore it. So, we work to help and serve by honing our message for those who are open, willing and who resonate with us. This gives us reciprocal fulfillment. We learn by doing, we make mistakes along the way, we correct our course of action. of alternating back and forth between what we sense, what we can know, and what we already know. Becoming more creative involves waking up to the state of wholeness that differs from the primarily objective or sometimes subjective person common to our society. A more natural and conscious balance between two extremes. Such ‘creative’ wholeness allows us to see ourselves as if from above (Panorama picture)…to Both leads our way And to follow that way…to both determine our goal and to experience the response… to control our own behavior in a holistic way. But wholeness requires alternative back and forth thinking and feeling; an alternating , bi-modal behavior instead of a primary acceptance of one part and rejection of the other. The sum of us can be more powerful (and fun) than one of us..sometimes.The confounding thing is exactly how we make it happen. 1.- We need more innovation and invention first to save the world from self-destruction, and second, to contribute to the mental health and power of individuals, Imitating the past is not good enough – only creative society will survive. 2.- We are more concerned about reproducing knowledge but do little with the creative application. We need more learning for doing. At this day and age, we must run like the Devil just to keep up. 1.- Absorptive Power – the ability to observe and apply attention. 2.-Retentive Power – The ability to memorize and to recall. 3.-Reasoning Power – The ability to analyze. 4.- Creative power – the ability to visualize. To Foresee. Through the first two functions we learn; through the latter two we think. Wow, what a comment, this could be a single blogs post itself. Thank you Mike! You have named the things with right names. I have totally loved the part about pride. Oh yes, it is such a brick wall, which separates us from creative being. And yes we need to run like a devil if we want to keep up. Hi Ivana, this is an excellent article! Thanks for sharing these wonderful tips. In addition to what you have already posted, I think another way to be creative is to learn a person’s underlying values. This would help a person focus his attention on satisfying his own needs, thus helping him grow. As a result, an individual can life a balanced life which allows him to be more creative and enjoy a life that is full of what he loves. Yes, “know thyself” is very very essential knowledge for anyone who wants to lead joyful, creative and balanced life. And this quest for self-knowing is lifelong journey.